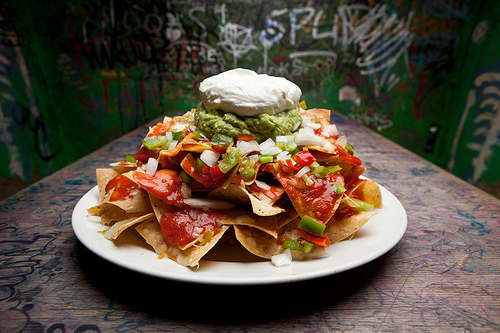 Proudly Serving The Best Nachos in Toronto! As if any of you needed a list to know we’ve got the hottest nachos in the 416; but in case you haven’t heard, we’re were recently voted #1 on blogTO‘s Best Nachos in Toronto list. Oh, what a feeling! Of course the Kings Crown (see the drool-inducing video at the bottom) is our most popular platter, but you can’t be named the best without offering flavour combinations for all tastes. Take a look at our nacho menu and prepare yourself for your next visit(s). Of course, our selection would not be complete without an option for all picky eaters, and those who prefer to “choose their own adventure”! There you have it! 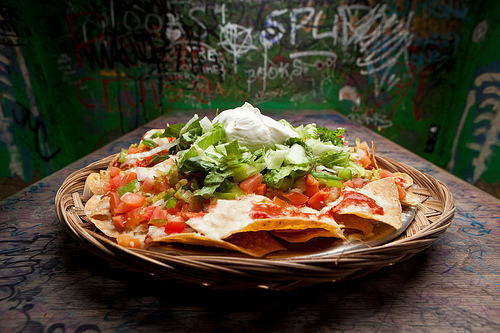 Read up and impress our waitress with your vast knowledge of our Nacho platters next time you come in. Thank you for letting us fill you up with the best early-morning / late night eats in Toronto. See y’all soon!